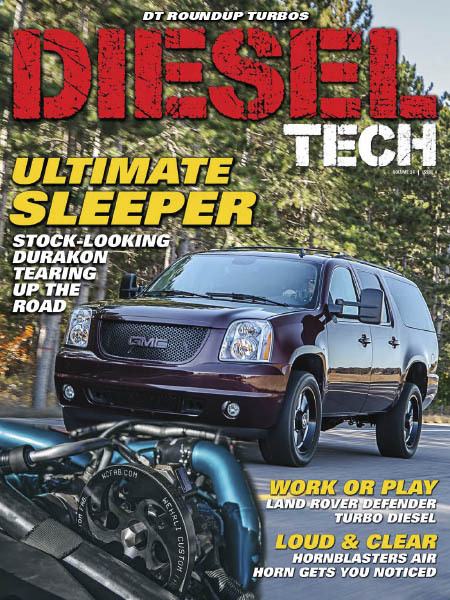 Diesel Tech - 05.2019 » Download PDF magazines - Magazines Commumity! Diesel Tech Magazine is for you if you have a Diesel for work or play or thinking about getting a diesel. Diesel Tech is very informative and entertaining, providing the latest truck industry news and technical articles with real-world application, feel and style. Diesel Tech will focus on trucks and their applications as work trucks, daily drivers and project trucks. Diesel Tech will differ from other truck publications by devoting more attention to blue collar trucks that pull trailers not ride to shows on them. Diesel Tech will feature trucks with a wide scope of modifications and performance products. Editorial will cover stock trucks, complete project build trucks, and everything in between, such as plug-in performance chips, suspension upgrades, exhaust performance, towing products, etc. Diesel Tech is written for performance enthusiasts who own heavy-duty light diesel trucks (1/2-ton, 3/4-ton and 1-ton pickups) or SUVs or those getting ready to purchase one.